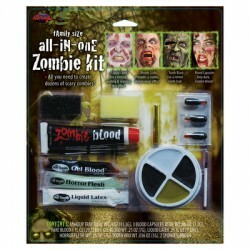 Wear a Zombie fancy dress costume at halloween and walk amongst the dead. An authentic look of veined legs can be achieved with these Zombie Tights. One adult size fits most.